It's nearing my absolute favorite time of the year (spring/summer) and I'm feeling all sorts of cheerful. We just sprang forward and I'm excited for longer days, more sun, and milder weather. I'm looking forward to shorts and eating ice-cream on the regular. Maybe that's why I've been crushing so hard on pink lately? Perhaps I'm also loving pink because it was just International Women's Day and I just started collecting all the femininity I could? 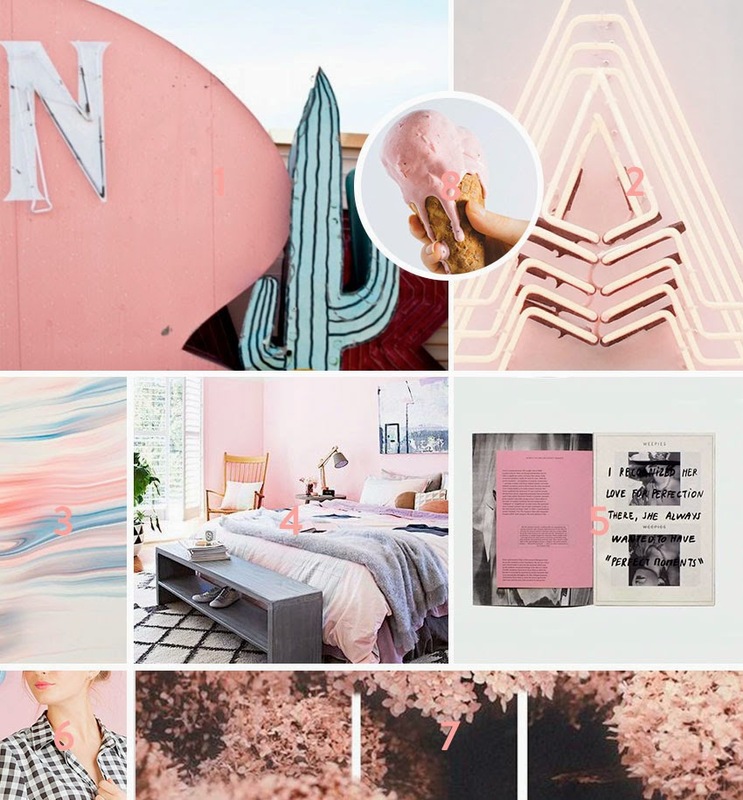 Either way, I love it and couldn't help but share a little pink pinspiration! I've also been loving flowers. Never in my life have I thought flowers were prettier or more essential than now. I've wanted to fill up my life with fresh flowers. Since I live in an apartment complex, I don't exactly have a place to garden. I also don't want to just buy a beautiful bouquet just to watch it die in a week or two. Instead, I went with something more sustainable - a succulent! I picked out the cutest little succulent and had him potted in a gorgeous gold metallic vase (similar). He sits in a mix of gold glitter, gold pebbles, and soil. I know getting a plant seems like a small thing, but to me it was just one more step into adulthood (however tiny). I have enough faith in my self to care for another living thing consistently and happily? Look out! P.S. - Sorry if the design going on around here looks a little wonky, I'm tweaking and hopefully will have this space looking ship shape soon! What's been inspiring you lately? What's your favorite thing about spring? Let me know! I love this kind of pink. Not too bright, but still sweet. We don't have spring here in Indonesia, but I hope you'll have a wonderful spring!